Common Question: What are the fish hitting lately? Answer: A consistently good drift at the right depth over water where fish are holding with a fly the fish will notice but not run away from. When I’m asked the above question and give the above mentioned answer, people often think I’m holding back or saving the “secret fly.” Really though, what I mentioned is the most important piece of advice for catching trout anywhere in the world. More often than not we are trying to make our flies float at the speed they would dead drift in the current. Different water speeds in the river will pull our line causing our flies not to drift properly. This is called “drag”. What eliminates drag is called a mend. Sometimes fish are holding deep and other times fish are shallow. Identifying how tight to the bottom fish are holding and how willing they are to move up in the water column will help you get at the right depth. As a rule of thumb, start at the bottom and then work up. Water flow, speed, clarity and temperature have a big part to do with where fish will hold. If you can’t figure this out, fish the seams. Fish will always be on a seam on any given day. Once you become good at all the above mentioned, you will be amazed at how many different fly patterns you can get a trout to eat. That said, having the right fly coupled with the right drift makes for a deadly combination. 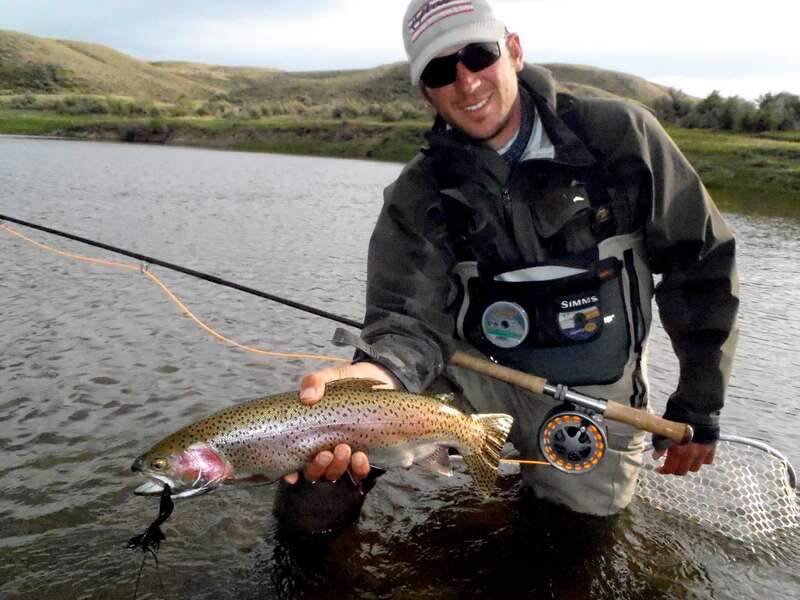 Tip 1: The faster, dirtier, less pressured water will allow you to fish bigger brighter and more generic flies. Tip 2: Slow, clear, cold, low flows and highly pressured water means smaller sparse flies.